70 years later, the bombing of Pearl Harbor comes to life for a new generation of readers! History’s most terrifying moments are brought vividly to life in the action-packed fictional I SURVIVED series! Do you have what it takes to survive … the bombing of Pearl Harbor? Eleven-year-old Danny Crane is alone on his favorite beach in Hawaii when the world is torn apart and World War II officially hits the United States. Does he have what it takes to find his way home in the midst of the bombs, the smoke, and the destruction of the day that will live in infamy? This is a great book for young readers interested in learning about World War II. 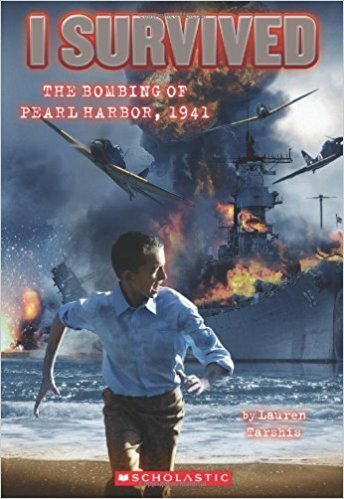 This story is told through a young boys eyes about what took place around and during the bombing of Pearl Harbor. I think this gives an interesting view to interest kids in history.